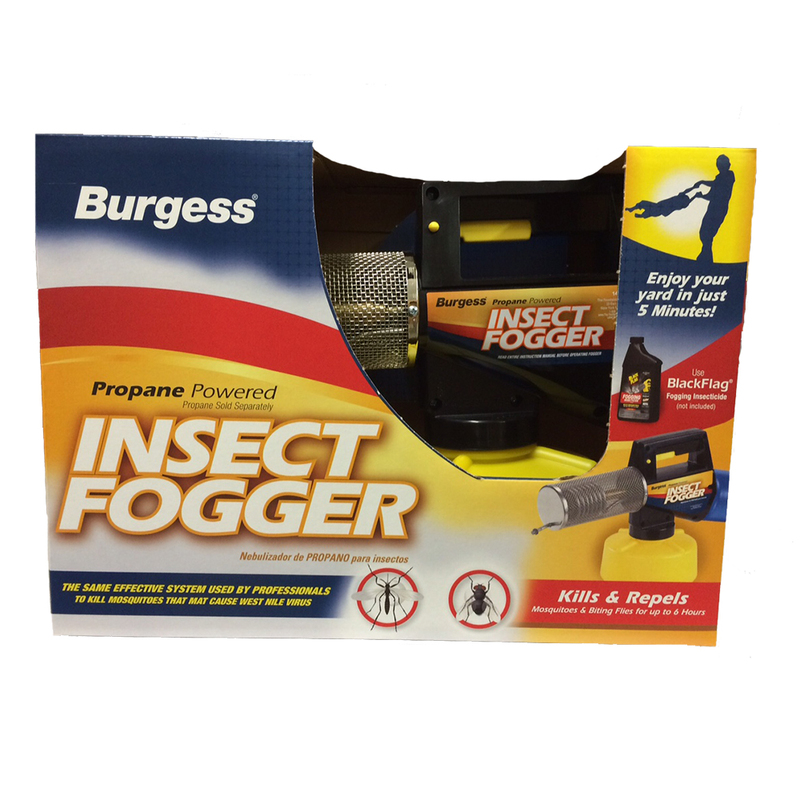 The Burgess® Propane Powered Insect Fogger kills mosquitoes and biting flies. The powerful fogger will fog your yard in a matter of minutes and the results are immediate. The Burgess® Propane Powered Insect Fogger uses Black Flag® Fogging Insecticide (not included). This insecticide has no offensive odor. This fogger provides immediate, long lasting and effective control of mosquitoes and flies. Propane power allows for ultimate portability that helps you get the job done fast. Enjoy special events, outdoor parties, pool parties, picnics and campsites with just a few minutes of fogging for hours of bug-free fun. This product can only be shipped via ground carrier within the contiguous United States. It cannot be shipped to a P.O. Box or via any expedited method that may involve air transport. If you have any questions, please call 800-344-6337. Carefully read and follow all enclosed package instructions before using this product. Shipping restrictions apply. Click for details.